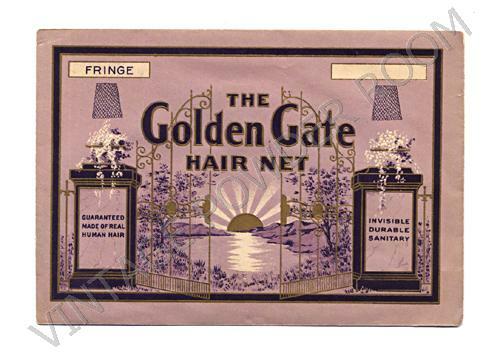 The first thing that this hair net package calls to mind is obviously the Golden Gate Bridge in San Francisco; but it actually bears some resemblance to the Grant Street Gate to that city’s Chinatown. 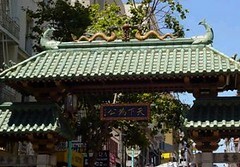 My initial impulse when I sat down to write this post was to follow a straight line from the Golden Gate Bridge to Chinatown, but my thinking is rarely stays that linear. 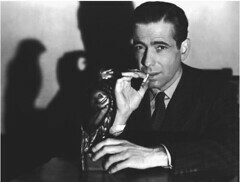 After a few minutes I realized that what San Francisco means to me, other than 1960s psychedelic bands, is Sam Spade. 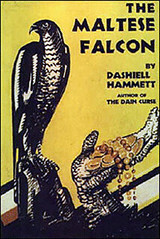 The novel THE MALTESE FALCON, featuring the character of Sam Spade, was written by Dashiell Hammett and was published in 1930 – during the Golden Age of Detective Fiction. The golden age of detective fiction is generally considered to be those years between the World Wars. Many of the writers of the Golden Age were British (e.g. Agatha Christie, Dorothy Sayers); however, Raymond Chandler and Dashiell Hammett were successfully writing classic American detective stories during that period. Today Hammett and Chandler are two of the best known of the era’s hard-boiled detective fiction authors. As early as 1929, writers were attempting to define the mystery/detective genre. 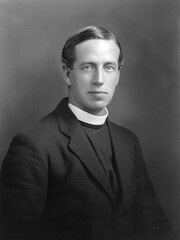 Ronald Knox, an English theologian, priest and crime writer published some rules for writing detective fiction. Twin brothers and doubles generally, must not appear unless we have been duly prepared for them. Rule number five is particularly odious. No Chinaman? What happens when the detective is a Chinaman? Earl Derr Biggers created Charlie Chan during the 1920s. There are many reasons to be offended by the portrayal of Chan both in the books and in the subsequent films; however, I think a good rule of thumb is to never apply today’s sensibilities to yesterday’s literature. My reading list would shrink to nearly nothing if I did that. I look at the stories in the context of their time, and by putting Charlie Chan in a position of authority I believe that Biggers was taking an interesting, and somewhat risky step forward. Quoting from Wikipedia: “Interpretations of Chan by critics are split, especially as relates to his ethnicity. Positive interpretations of Chan argue that he is portrayed as intelligent, benevolent, and honorable, in contrast to most depictions of Chinese at the time the character was created. Others argue that Chan, despite his good qualities, reinforces Chinese stereotypes such as poor English grammar, and is overly subservient in nature.” I’ll leave the debate on ethnicity and stereotypes to others. Rule number seven was probably meant to discourage other writers from doing what Agatha Christie had done so successfully in 1926, which was to write a detective novel in which the narrator turns out to be the killer. The novel, THE MURDER OF ROGER ACKROYD, has been considered by many to have been Christie’s masterpiece. 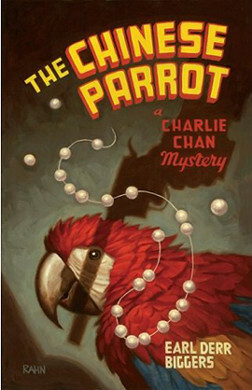 In 1930 Agatha Christie published her first Miss Marple novel, MURDER AT THE VICARAGE, (a classic “cozy”) and Dashiell Hammett published THE MALTESE FALCON, the only novel to feature Sam Spade and, arguably, the novel that first introduced the archetype of the hard-boiled detective to the world. In the novel Spade is cynical, bitter, and morally ambiguous, that is until he explains to Brigid O’Shaunassey his reasons for turning her in. Spade’s moral code may be non-traditional, but he adheres to it. Spade tells her that he had fallen for her, but she had murdered his partner. He’d never be able to trust her, and he’d likely go to prison with her if he concealed what he knew from the cops. Finally Spade tells Brigid that he’ll wait for her; provided she doesn’t hang. Hellman and Hammett had a 30 year long relationship – a part of which was depicted in the 1977 film JULIA starring Jane Fonda, Jason Robards, and Vanessa Redgrave. Did Hellman really smuggle papers out of Nazi Germany in her hat as shown in the film, or had she taken another woman’s (i.e. Muriel Gardiner) story as her own? The jury is still out on whether or not Hellman greatly embellished her autobiographies. In any case, JULIA was a compelling enough film to win three Oscars. I love the movie – the costumes are exquisite, the acting superb. It’s worth watching whether the story is Hellman’s or not. Oh, and look at this clip from the film with Meryl Streep as Anne Marie and Jane Fonda as Lillian. During the 1950s Hammett was investigated by Congress, and testified on March 26, 1953 before the House on Un-American Activities Committee. Although he testified to his own activities, he refused to cooperate with the committee and was blacklisted. Others refused, as did Hammett, to cooperate with HUAC and they paid dearly. A group of Hollywood writers who refused to cooperate with the committee became known as THE HOLLYWOOD TEN. They were Alvah Bessie, Herbert Biberman, Lester Cole, Edward Dmytryk, Ring Lardner Jr., John Howard Lawson, Albert Maltz, Samuel Ornitz, Adrian Scott and Dalton Trumbo. The ten men claimed that the First Amendment of the United States Constitution gave them the right to refuse to answer questions about their beliefs. 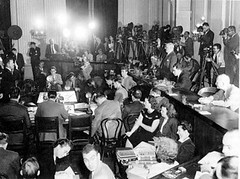 The HUAC and, subsequently, the courts disagreed and all ten men were found guilty of contempt of congress. Each of them was sentenced to between six and twelve months in prison. 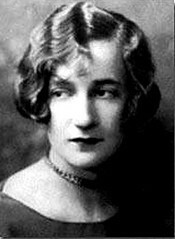 Hellman may have embellished her autobiographies, but her statement to HUAC leads me to believe that she was also a stand-up dame. I’ve never been able to visit San Francisco without thinking of Dashiell Hammett or Sam Spade. 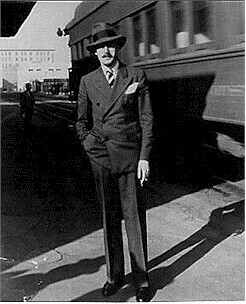 Even though Hammett never wrote another novel after THE THIN MAN, his contribution to mystery fiction, in particular to the hard-boiled genre, was seminal.